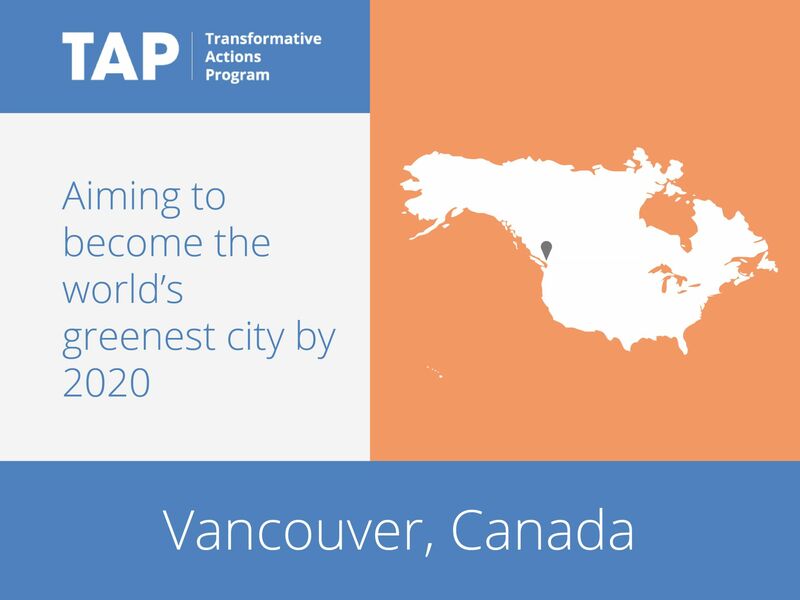 The Greenest City Action Plan (GCAP) is Vancouver’s overarching plan to become the greenest city in the world by 2020. The GCAP comprises 10 goals addressing three main themes: zero carbon, zero waste, and healthy ecosystems. Each goal area constitutes an individual plan with a long-term goal and one or more 2020 targets. In all, the GCAP contains 15 measurable targets. These include doubling the number of green jobs over 2010 levels by 2020, increasing city-wide and neighborhood food assets by a minimum of 50 percent over 2010 levels and planting 150,000 additional trees in the city between 2010 and 2020.